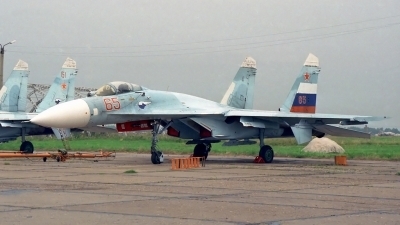 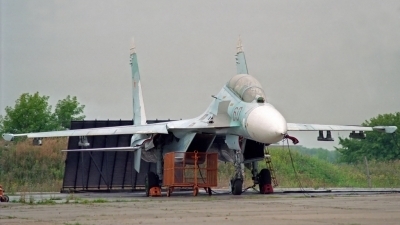 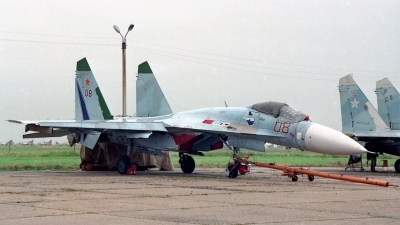 Just found 'the other side' of our sharky Su-27 - not noted during scansession in December 2008. 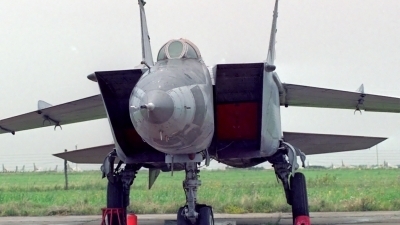 Note that the tail-art is not following up to the sharkmouth on this side. 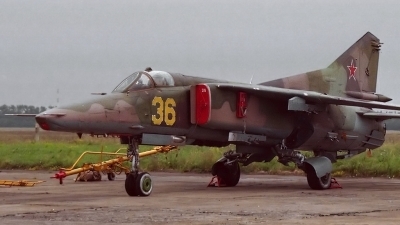 New on database, but WHAT A BEAST !!! 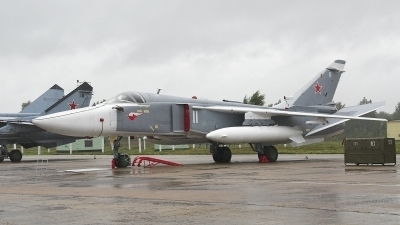 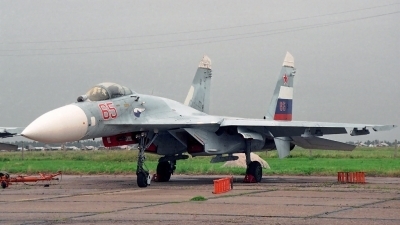 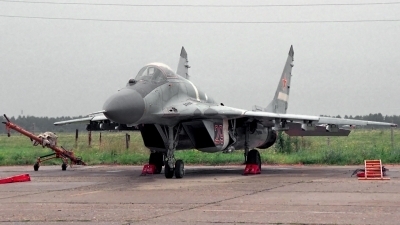 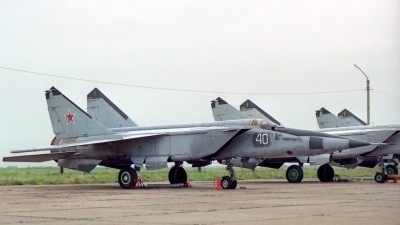 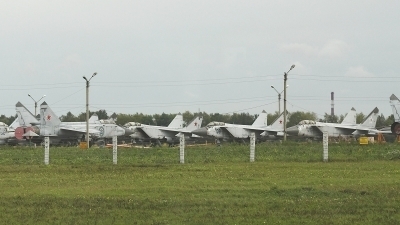 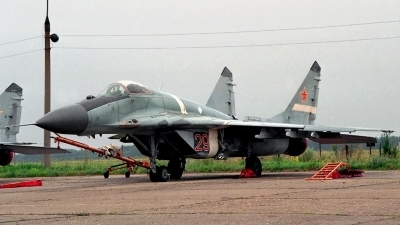 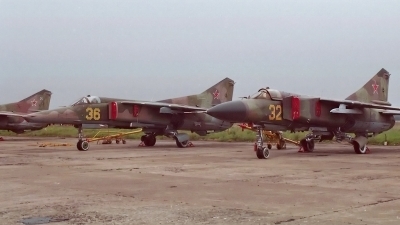 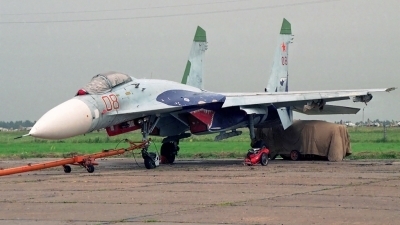 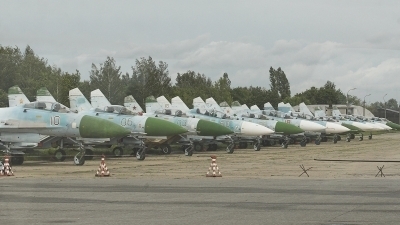 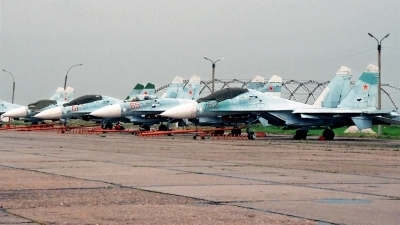 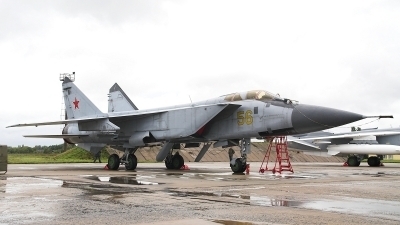 Welcome to Fightertown Lipetsk - with two active MiG's of the Cold War. 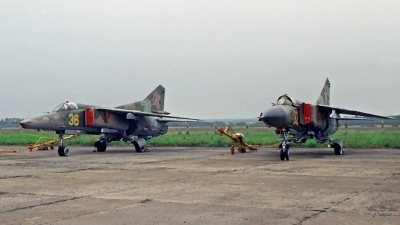 MiG-23ML 'yellow 32' and MiG-27 'yellow 36' awaits there next flight. 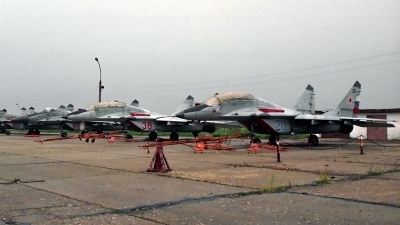 Welcome to Fightertown Lipetsk - part of hundreds of stored/scrapped MiG-23 and -27 a/c's can be seen here in the background of this active Su-27. 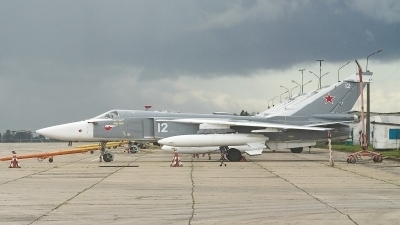 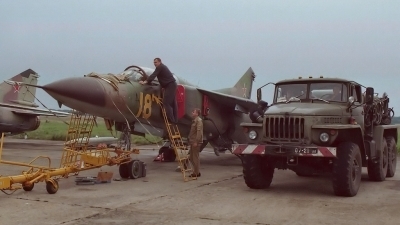 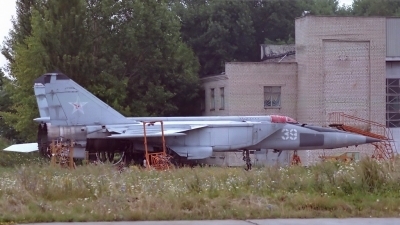 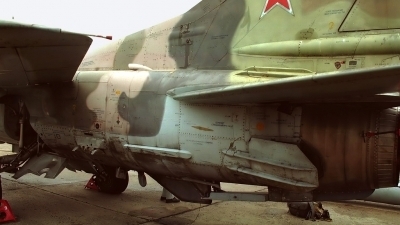 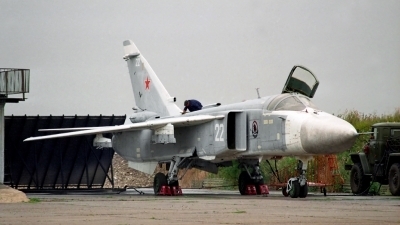 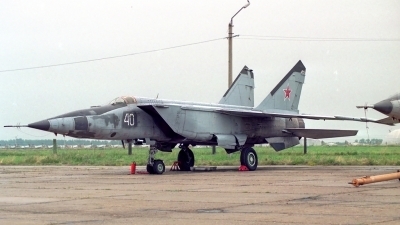 among of hundreds of scrapped, stored and active a/c's - beginning with L-29 and ending with MiG-29 - this MiG-23 is looking like ready for the next flight.